"We hired Rhonda as our postpartum doula and couldn't be happier! Neither of us really had any experience with newborns. To prepare for our son's arrival, we took several classes and read what we could in all kinds of books. But honestly, we probably could have skipped most of that and just hired Rhonda. Her assistance has been an investment in our sanity and confidence, and there is no doubt in our minds that our son has benefited from having Rhonda in his life. Rhonda worked with us in our home to help us learn some basics (first bath, nail care, using the breast pump, etc. ), helped around the house (baby laundry, dishes, vacuuming), and cuddled Jack so mommy could shower! Rhonda was a huge emotional support and was very available by phone for quick "ahhhh...is this normal???" questions. She made sure that we (mainly mommy Michele) got out of the house, whether it was with the stroller, or that first scary car trip out to stores. The bottom line is that Rhonda has an immense passion and understanding of babies, and helps people become excellent caregivers for their new little bundle so that they can relax and more thoroughly enjoy being a first-time parent." "Rhonda, thank you for being our post partum Doula. Your knowledge and services were invaluable! Rhonda helped me transition to being a mommy for the first time at 42. I was ready for our baby emotionally, but not physically. I was able to call Rhonda from the hospital and asked her questions. She is well versed in all postpartum mommy and baby care and recommended items to pick up at the drug store to make life easier for me and to ask the hospital for some supplies. She provided invaluable support in the beginning with my breast feeding challenges and kept encouraging me to try. She showed us how to care for our baby (breastfeeding and bottle feeding, bathing, and activities to do with our baby). She was able to care for our daughter, so I could pump, take showers, do errands around the house). She helped me organize the baby’s room (the changing table and all my baby clothes) to make the room more efficient. We highly recommend Rhonda for your postpartum needs." "It is a great pleasure to have Rhonda as our postpartum Doula. As first time parents we just weren’t sure about how to do a lot of things involving baby care. Even though we took a few classes prior to the birth of our baby Jonah, we still didn’t feel 100 percent confident in what we needed to do. In addition, I was recovering from the birth and needed to put a lot of my attention towards healing. Rhonda helped us so much with caring for our baby, as well as being the extra support that I needed while recovering from the birth. She did everything from giving the baby a bath and showing us how, to breastfeeding support, to swaddling, to tidying up our living space, and to being a listening ear for both of us who were going through the huge transition and adjustment of being new parents. Rhonda is very knowledgeable about the development of babies and has many years of experience. She is caring, light hearted, and shows a great love for her work. We are happy to still have her working for us 4 months after Jonah was born, and highly recommend her to any new parents who are seeking extra support upon the arrival of their precious little one!" “Having Rhonda as our birth Doula was wonderful from start to finish; her calm and comforting personality was what we needed to get through our first experience with pregnancy and birth. Rhonda helped us put together a birth plan that was tailored to our needs and wants. She never influenced us with her beliefs only helped guide us with her knowledge on writing a birth plan that fit us perfectly. There are so many things that first time expectant parents don’t know and Rhonda put us at ease. She answered all of our questions and really made the “upcoming birth” not seem so scary knowing she would be there to help. During the birth of our son her guidance was more help than we even expected. I am almost positive that if she wouldn’t have been our Doula we probably would have ended up having a c-section. Rhonda, Thank you again! You were wonderful. 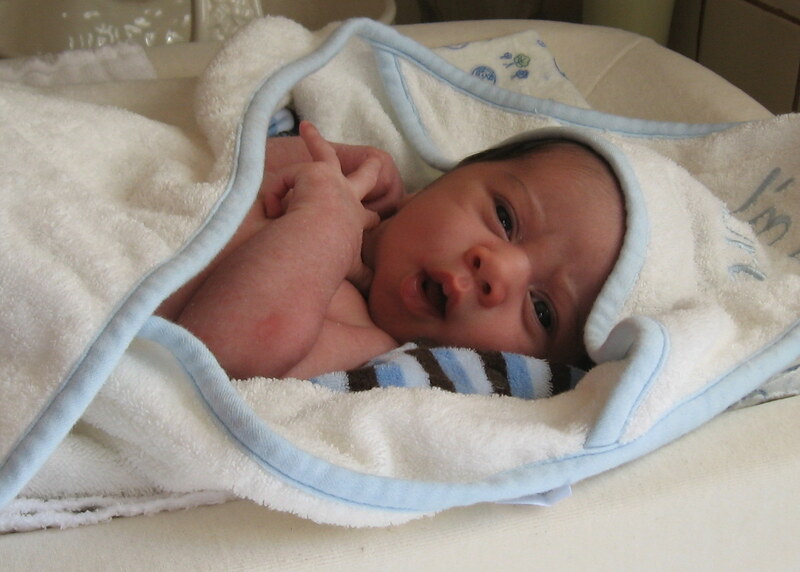 "Jake and I wanted to thank you for your amazing Doula service. We could not of imagined a more perfect birth experience than the one we experienced with your support. As you know, I was hoping for a natural birth without an epidural and I was able to achieve that with your coaching. Your confidence and constant reassurance throughout my labor allowed Jake and I to trust that I could do it ... even when times got really tough, I believed in myself because you remained calm and collected talking me through each contraction. I could not of endured the pain without your reassurance - thank you, Rhonda! The day that we welcomed Tanner Finn into this world will forever be a day full of gratitude. You made the entire experience so full of love; everything we could of imagined and so much more!" "Rhonda was truly a great partner for our first-time labor and birth experience. From her confidence that obviously is the result of her many years of experience and her corresponding knowledge and abilities to her friendly personality, we were extremely happy that she helped setting a mood of calm reassurance throughout our 20 hours of labor and finally the birth of our daughter. Her strong and active support served to carry us through the long hours, most of which we were able to spend at home, by significantly reducing stress for both of us. She really remained composed and was great about reminding us of very important things such as maintaining our energy, staying hydrated, changing labor positions." "Rhonda was our Doula for the births of both our sons, who had natural births without an epidural. She also assisted at a very painful version procedure which I had to undergo with my second son. I highly recommend her, for both first and second time mothers. Rhonda is extremely professional and competent, while at the same time being caring and compassionate. She managed to take the edge out of the pain when I got stuck in active labor, and she helped me overcome the after-pains of the version. Rhonda communicates effectively with the hospital staff in a way that creates a very positive environment. Throughout the pregnancy, she was available for questions and advice and she followed my lead in terms of the care I wanted, while at the same time presenting and explaining all the available options. If we were to have a third baby, I would like her to be our Doula again." "Rhonda has been an incredible support and resource for our family both before and after the arrival of our first child, Oliver. The end of my pregnancy was more stressful than expected and Rhonda’s calm demeanor, wealth of information and warm and loving personality really helped us through the delivery and birth. Since Oliver was born, Rhonda has been an enormous help with everything from nursing, pumping and taking care of a newborn. We couldn’t have done it without her!" "My wife and I are deeply grateful to Rhonda for the positive, transformative, role she played for us. Rhonda's years of experience and calm guidance allowed my wife to spend most of the 23 hours of labor at home. Rhonda gently guided my wife into a variety of soothing postures (several not covered in classes), while showing me how to be a better labor partner. Without Rhonda, we would have made a frantic, premature departure to the hospital and spent eight extra hours in the sobering confines of the hospital. The choice of a Doula is highly personal, and the best match will vary from one couple to the next. However, let me suggest that Rhonda is exceptional in her profession, truly a gem, because of core personal qualities. This blend of quiet competence, personal integrity, and generosity of spirit is rare in any profession. Rhonda was a blessing for us and she has our strongest possible endorsement."